10 weeks, two peels, four weeks apart. Infused with pure green tea extract and pharmaceutical grade retinol, this peel works to break down the uneven layer of the epidermis revealing a more reflective healthy glow. This powerful anti-aging peel is so gentle that it can be used on the go by those with even the most sensitive skin without creating redness, irritation or downtime. Come and take your cares away while being pampered head to toe with our 90-minute Luxurious Facial infused with two specialty masks of your choice, arm and foot massage AND 100% Organic Microdermabrasion treatment. Specialty Mask selections include: 24K Gold Radiant Lift, Cellular Renewal, Detox & Revitalizing, Beauty Boost, Skin Whitening, or Acne Control Mask. 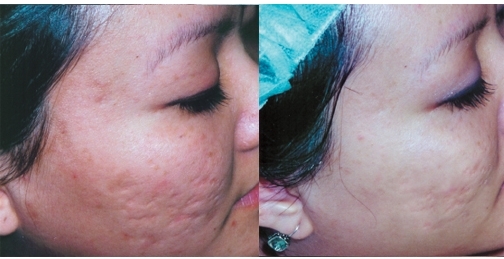 Organic microdermabrasion is the most natural way to exfoliate the skin without the use of harsh chemicals. In fact it's so safe and gentle we use it to treat the lids & lips and can even be used on expectant mothers. One hour treatment combining Western and Eastern approaches of exfoliation, organic microdermabrasion, restorative oils, and specialized organic brightening creams designed to bring maximum results. 100% Organic Waxing for even the most sensitive skin, SPECIALIZING in Eye Brow Shaping. Functional Medicine is the key to management of this debilitating syndrome. Most of us don’t learn how to manage our energy and bodies well. We use drugs – sugar, caffeine, alcohol, adrenalin, or worse – to manage our energy and moods. Most of us don’t connect our behaviors and choices with how we feel every day. We don’t connect what we eat, how much we rest and sleep, how much we exercise, how much time we make for connecting with friends and community, or the kinds of media and news we watch with how we feel every day. It all starts with your mitochondria.